In regards to the ongoing lawsuit involving Ocean Ridge Plantation development company, managed by developer Mark Saunders and the community’s property owners association, progress is being made and a conclusion could be reached soon. The Ocean Ridge developer and property owners association have officially chosen a mediator for their lawsuit, a positive step toward resolving the matter. The Ocean Ridge Master Association, the name of the property owners association at Ocean Ridge Plantation, and the Ocean Ridge developer companies have mutually selected Mark Hamlet as the mediator for their lawsuit. Hamlet is a lawyer with Hamlet & Associates, PLLC in Wilmington, NC. Hamlet is a member of the New Hanover County and NC Bar Associations. He is also certified by the North Carolina Dispute Resolution Commission. Hamlet formed Hamlet & Associates in May 2012, and ever since, the firm has assisted parties in dispute when it comes to identifying the issues at hand and the decisions that need to be made. Hamlet helps both parties work through the decision-making process. He will oversee the mediation for the Ocean Ridge lawsuit between the Ocean Ridge developer companies and the community’s property owners association, which stems from the overbilling of property assessments by the Ocean Ridge Master Association. The lawsuit began when the governing body of the Ocean Ridge property owners association changed hands and was taken over by board members who were elected by the community’s property owners. Before the turnover in governance occurred, the Ocean Ridge developer gave hundreds of thousands of dollars to the association, which allowed it to thrive and build healthy reserves. As allowed by North Carolina law, the protective covenants call for the Ocean Ridge Developer to be exempt from property assessment fees. However, when the association was turned over to the board members this provision was overlooked and the Ocean Ridge developer was billed and paid for assessments on home sites they owned. In order to avoid a statute of limitation defense, the Ocean Ridge development company filed a lawsuit in the Superior Court of Brunswick County, NC. The mediation between the Ocean Ridge Master Association and the Ocean Ridge developer is tentatively scheduled to occur in May 1, 2018. “We look forward to resolving this issue fairly and equitably,” stated Mark Saunders, manager of the Ocean Ridge developer companies. 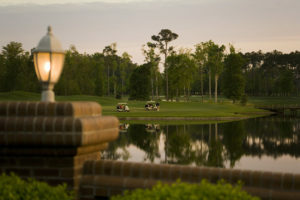 Visit www.oceanridge.com for more information about Ocean Ridge Plantation, a gorgeous residential beach and golf club community in Brunswick County, NC.